The Gadget Detective joins Howard Hughes on Radio Berkshire to discuss the latest tech news. This week; Google announces the launch of their new flagship phone, the Pixel, how advanced will it be? And just what does Yahoo seem to have tacitly admitted doing for the US Government? 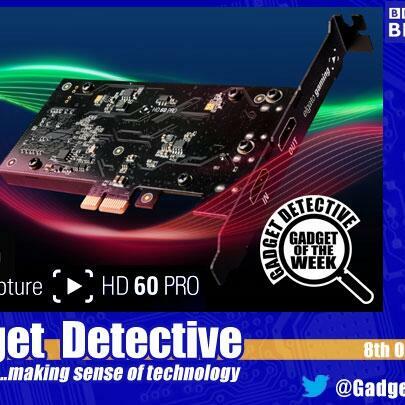 Gadget of the Week is the Elgato HD60 Pro gaming capture card, a PC based card designed for capturing and streaming not only your gaming output but one offering enough to be ideal for a range of uses.